The inaugural Twenty20 World cup final, on Monday, is a marketing man's dream - with Pakistan taking on India. India held its nerve against a brave charge by Australia to win the spectacle by a handsome margin of 15 runs after setting a target of 189 while earlier in the day, Umar Gul's sensational seam bowling and Imran Nazir's half-century ensured Pakistan the first spot in the ICC World Twenty20 final at New Zealand's expense. Chasing a target of 144 runs, after a combination of poor batting and excellent bowling restricted New Zealand to 143-8 from their 20 overs, Pakistan won the semi-final encounter at the Newlands cricket ground in Cape Town by six wickets after knocking off 147 runs in 18.5 overs. A middle order collapse had cost New Zealand vital runs after a promising start, Ross Taylor top-scoring with 37. At Durban, brilliant left-hander Yuvraj Singh hit 70 off just 30 balls as India won the toss and recovered spectacularly from a sluggish start to total 188-5. Australia crumbled when 30 were needed from the last three to end on 173-7. 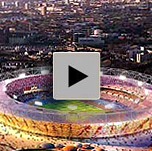 The inaugural Twenty20 World Championship is being held in South Africa from September 11 to September 24, 2007. Twelve teams take part in the ten-day tournament, comprising the ten Test playing nations as well as Kenya and Scotland. 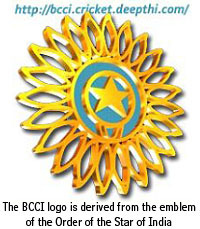 BCCI is the apex governing body for cricket in India and lays down its law. 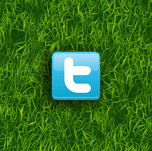 Follow the links to find comprehensive news and information in BCCI. The Board of Control for Cricket in India on Thursday (September 13), unveiled its ambitious plans for its Twenty20 league Indian Premier League at an event in Delhi to rival the Indian Cricket League (ICL). The event was attended by representatives of national cricketing bodies of all Test-playing nations as well as some of the top cricketers in the world, namely Sachin Tendulkar, Rahul Dravid, Sourav Ganguly, Glen McGrath, Stephen Fleming, and Anil Kumble all recruits of the IPL. IS Bindra, Chirayu Amin, Arun Jaitley, Mansur Ali Khan Pataudi, Ravi Shastri, Sunil Gavaskar, Rajiv Shukla and Lalit Modi were named as members of the BCCI Indian Premier League Committee with Lalit Modi assuming the role of the chairman of the 7-member Governing Council which will run the league. ICC President Ray Mali also fully supported the BCCI's initiative to launch the league. The Indian Premier League is scheduled to start in April 2008 and will last for 44 days involving 59 matches on a home-and-away basis with all matches being played under flood lights. Besides the IPL, the Champions Twenty20 League will be played in the first week of October 2008. Eight domestic teams from four nations will participate in the Champions Twenty20 League. Apart from India, Australia, England, South Africa will participate in the league, which will kick off in October 2008. Prize money for the Indian Premier League will be US $3 million, where as the champion team in the Champions Twenty20 league will get US $5 million. This is the highest ever prize money for a cricket event. Facing stiff challenge from Mediawest-promoted Indian Cricket League (ICL), Board of Control for Cricket in India (BCCI) got a shot in the arm with Liquor Baron Vijay Mallya rallying behind the cricket body in not approving the new cricket league. Speaking to reporters last night at the KSCA Stadium where the quadrennial elections to the Association were held, Mr Mallya said he was not impressed with the ICL. ''BCCI has done a good job of promoting cricket in the country so far and they have worked hard for it. Mr Pawar has been behind the success of Indian cricket and I have trust in him,'' he said. Considering the BCCI's work, it would not be proper for him to support the ICL, said Mr Mallya who had evinced keen interest in involving himself in cricket administration. Though members gave a fractured mandate in the KSCA elections between two groups led by Scion of Mysore Royal Family Srikantadatta Narasimharaja Wadiyar and Former Test Cricketer and Incumbent Secretary Brijesh Patel, he would help both to ensure smooth functioning. ''My commitment to Karnataka cricket will be total,'' he added. The UB group Chairman had supported Mr Wadiyar's group in the elections. Raj Singh Dungarpur on Saturday attended a meeting of the office-bearers of the Cricket Board as a special invitee and the BCCI's former President, but not as the Cricket Club of India representative. Others who attended the meeting, chaired by BCCI President, Sharad Pawar, as special invitees were Arun Jaitley, I S Bindra, Farooq Abdullah and Prasun Mukherjee. BCCI Vice-Presidents Chirayu Amin, Shashank Manohar, Lalit Modi and Dayanand Narvekar, Joint Secretary M P Pandove and treasurer N Srinivasan were also present at the meeting. A media relase issued on behalf of Dungarpur, facing allegations of irregularities committed by him during his 14-year reign as President of CCI, claimed that the BCCI had ignored CCI's communication barring its ex-chief from attending BCCI's meetings. The BCCI "completely ignored the communication of CCI dated 29th August, 2007 barring Mr Raj Singh Dungarpur from attending the BCCI meeting" and invited the former BCCI chief as a special invitee to the meeting of the Board today, the release issued on behalf of Dungarpur said. "BCCI did not invite Mr I M Kadri, the President, CCI, or any representative of the CCI to its meeting today totally disregarding the communicaton of CCI," it said. The Indian cricket board on Monday advertised for the post of the national coach, but with stringent pre-requisites like familiarity with the country's "culture and ethos". The contract will be for two years starting Oct 1, 2007, though the terms and conditions are "negotiable", Niranjan Shah, secretary of the Board of Control for Cricket in India (BCCI), said in Mumbai. The coach's post fell vacant following the completion of former Australia captain Greg Chappell's two-year term in March. Initially, the board was against advertising for the post. Only those who have a minimum of Level III coaching accreditation from Cricket Australia, England or India can apply. But, interestingly, there is no bar on Indian coaches. Those interested can send their CVs to the board headquarters at the Wankhede Stadium by Sep 15. "We have requested other cricket boards to post this on their website," said Shah in a statement. The board has listed 11 conditions in the 'knowledge, skills and expertise' column and eight stipulations in the 'key responsibilities' that the applicant is supposed to bear. The Indian team toured Bangladesh in May with stand-in cricket manager Ravi Shastri. The BCCI then interviewed former England spinner John Emburey and Graham Ford, Kent county's director of cricket, in June. It selected Ford but he surprisingly declined the offer after initially agreeing to take up the job. Later, Emburey also turned down the offer. Currently, the Indian side in England is being managed by 73-year-old Chandu Borde after BCCI's talks with Dav Whatmore, a former Sri Lanka and Bangladesh coach, also did not fructify. The Board of Control for Cricket in India is planning to organise a high-profile Twenty20 league of its own to counter the challenge posed by the 'unofficial' Indian Cricket League. The plan is still at a formative stage and it is learnt that the legendary Sunil Gavaskar will be asked to head the organising committee of the event, to be called "Professional Cricket League". "We have been working on something for sometime now, but we are not yet ready to announce anything right now. When we are ready we will let you know," BCCI vice-president and marketing committee chief Lalit Modi said on Thursday. The proposal was not discussed at the BCCI's special General Body in Mumbai on Tuesday. "There has been no discussion on this in the BCCI," a top source in the board said. Although BCCI officials were not willing to shed much light on the new proposal, it is learnt that two or three foreign players will be allowed to play in each team. Jolted by the rebel ICL's massive recruitment drive, the BCCI has not only decided to ban defecting players but also announced substantial hikes in match fees and prize-money for domestic competition to prevent a fresh exodus. The ICL, the brainchild of the Subhash Chandra-owned Essel Group, has so far recruited 44 first class players and seven from overseas, including West Indies batting great Brian Lara and former Pakistan captain Inzamam-ul Haq. Despite its ongoing tussle with the Indian Cricket League, BCCI will not stop payment of past dues to the players who have joined the ICL and all such pending amounts till the 2006-07 season will be cleared. A media release issued to this effect by BCCI's Chief Administrative Officer, Prof Ratnakar Shetty, clarified that reports to the contrary appearing in the media were absolutely baseless and false. "The board will clear all the dues of the players till the 2006-2007 season," he said. The BCCI, at its SGM held in Mumbai on August 21, had decided that players and others were free to be with the board or with any other organisation but once they decide to join the other organisation they would not be entitled to any benefits from the BCCI or be connected with any of its activities. Subsequent to this resolution that was passed unanimously, Kapil Dev automatically ceased to be the chairman of National Cricket Academy and till a new chairman was elected in its AGM on September 28, vice-chairman Ajay Shirke will act as the stand-in for the ousted former India captain. The 44 Indian players who had joined ICL as declared by the Essel Group-floated venture have also been debarred from taking part in any of its activities and will henceforth also not get financial and other benefits from the Board. Rattled by the Indian Cricket League's massive recruitment drive, the BCCI on Tuesday retaliated by sacking Kapil Dev as Chairman of National Cricket Academy for aligning with the multi-million dollar breakaway league and announced hefty pay hikes for domestic cricketers to prevent a fresh exodus. August 2007 I really do not know exactly why the BCCI has shown scant interest in me. Erapalli Prasanna, talking to Rediff. From what I gather they are seeking to run what I can call within quotes unofficial cricket. Malcolm Speed, the ICC's chief executive about ICL. In this fight between the two giants, I dont want players to suffer. Why should players have swords hanging over their heads? Justice Sanjay Kishan Kaul, looking into a case concerning BCCI misusing its power against ICL. They (BCCI officials) talk as if they work for free. Kapil Dev, Chairman of ICL's executive board, in response to BCCI officials accusation that he joined ICL only for money. 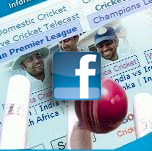 The Board of Control for Cricket in India, or BCCI, is the governing body for cricket in India. This is India's richest sporting body. The President of BCCI is Sharad Pawar (elected 29 November, 2005). Niranjan Shah is the secretary. All the office-bearers for the year 2004-05, were elected at the annual general meeting of the Board held in Kolkata. On January 10, 2005, the Supreme Court of India ordered the removal of Jagmohan Dalmiya from the post of patron-in-chief of BCCI and also asked the board to complete its annual general meeting (AGM) which had been adjourned on September 30, 2004. The legality of the office-bearer's election at the board's annual general meeting (AGM) held on September 29, 2004 is subjudice.